The all-new Pro II with a one-of-a-kind, fully adjustable rear ventilation and bedding door. Designed for maximum labor efficiency, the Calf-Tel Pro II is used by some of world’s largest calf ranches and dairy producers. With its crucial labor saving features, the Calf-Tel Pro II provides a highly cost-effective solution for your calf operation. Calf-Tel Pro II hutches have 16% more interior useable calf space than other similar hutches on the market. Outside measurement are useful in determining the space required, but inside measurements are critical in choosing the right size hutch for your calves. With a fenced area, Calf-Tel Pro II dimensions are approximately 4 ft. (122cm) wide by 13 ft. (396cm) long. We recommend 1 ft. (30cm) between the calf contact points of each unit with a fence. Our calf hutches are the most efficient and cost-effective housing option available including the Compact, Eco, Pro II, Deluxe II and XXL models. When calves raised individually are placed in large groups, the stress from competition and social pressure can lead to growth and health setbacks. Placing four to six similarly-sized, weaned calves in a Calf-Tel MultiMax is the best way to ease the transition. Continued growth and health will be attained as animals bond and develop a social group. hutches to protect your calves. 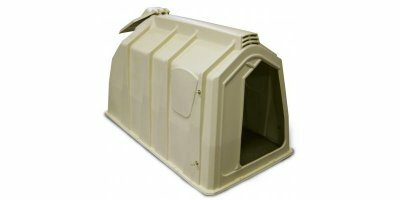 No reviews were found for Model Pro II - Standard Size Calf Hutch. Be the first to review!